Friday, September 18 at 8 p.m.
Kalamazoo, MI August 31, 2015 – For their opening concert of the 2015-2016 Symphonic Series, the Kalamazoo Symphony Orchestra presents Brahms & Tchaikovsky. Lana Trotovšek will make her U.S. symphonic debut with Brahms' virtuosic Violin Concerto and Raymond Harvey will conduct Tchaikovsky's blazing Symphony No. 4. Composed one year apart, Brahms' Violin Concerto and Tchaikovsky’s Symphony No. 4 express the highs and lows of life, explore the various facets of friendship, and examine the role of fate. Johannes Brahms developed a close friendship with the Hungarian violinist, Joseph Joachim. Their friendship was a long lasting and productive one resulting in many works including the Violin Concerto. Initially the concerto received poor reviews. However, due to it’s dazzling virtuosity and beautiful themes, Brahms' Violin Concerto has become one of the most cherished violin concerti in the repertoire. Piotr Ilyich Tchaikovsky developed a special and profitable relationship with the Russian socialite and arts patron, Nadezhda von Meck. Unfortunately, during the same year, he hastily entered a marriage which left him unhappy—divorcing after a few months. During this tumultuous time, Tchaikovsky wrote his Symphony No. 4. The result is gripping music which explores fate and expresses the emotions of life—longing, sorrow, happiness, and joy. Since it’s premiere, Tchaikovsky’s Symphony No. 4 has become one of the most beloved symphonies in the repertoire. This season Maestro Harvey celebrates 17 years as Music Director of the KalamazooSymphony Orchestra. He previously held the top post at the Fresno Philharmonic (California), Springfield Symphony (Massachusetts), and El Paso Opera (Texas). Lana Trotovšek, born in Slovenia, began playing the violin at the age of four and eventually became a student of Ruggiero Ricci. In 2012, Ms. Trotovsek made her debut with the Mariinsky Theatre Orchestra, under Valery Gergiev, with Prokofiev’s Violin Concerto No.1 in D Major. 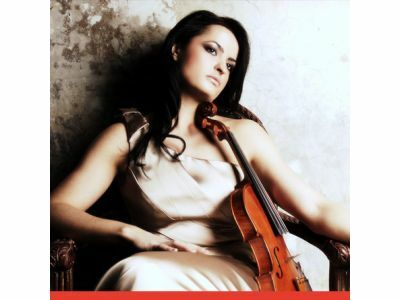 She has appeared in two concerts with Yuri Bashmet and the Moscow Soloists performing Mozart's Sinfonia Concertante. She has performed at many concert halls throughout the United States, Europe, and China, including Wigmore Hall, Konzerthaus in Vienna, Teatro la Fenice in Venice, Concertgebouw in Amsterdam, and Muziekgebouw Frits Phillips in Eindhoven. The Washington Post has described Lana as “radiant”. Lana’s performances have been broadcast on BBC Radio 3, Arte TV (France) and RTV (Slovenia). She has recorded for Meridian, Signum, Champs Hill and Hedone Records. Performances in the 2015-16 season include a solo recital at Wigmore Hall; Tchaikovsky’s Violin Concerto in D Major with the RTV Slovenia Symphony Orchestra under George Pehlivanian and with the Sarajevo Philharmonic under Uros Lajovic; Tan Dun's "Hero" Violin Concerto with the Slovenian Philharmonic Orchestra, Orchestra Teatro Verdi, and the Shanghai Philharmonic Orchestra under the composer's baton; Beethoven’s Violin Concerto in D Major with the Zagreb Philharmonic in Lisinski Hall under Hans Graf; and Mendelssohn’s Violin Concerto in E minor with the Chamber Orchestra of Philadelphia under Dirk Brossé. Trotovšek has an extensive chamber music repertoire. She was the leader of the Greenwich Trio, which won a number of prizes and awards including the George Solti Award and the Tunnell Trust Award. From 2011- 2013, Lana was also the leader of the Badke Quartet, the winners of Melbourne International Chamber Music Competition. Lana Trotovšek was the recipient of the prestigious Prešeren Award from the University of Ljubljana, Slovenia, which she received for her 2005 performance of the Khachaturian’s Violin Concerto in the Slovenian Philharmonic Hall with the Slovenian Philharmonic Orchestra under George Pehlivanian. She plays on a violin, made by Pietro Antonio dalla Costa from Treviso, Italy in 1750, on a loan from a private benefactor. For their opening concert of the 2015-2016 Symphonic Series, The Kalamazoo Symphony Orchestra presents Brahms & Tchaikovsky. Lana Trotovšek will make her U.S. symphonic debut with Brahms' virtuosic Violin Concerto and Raymond Harvey will conduct Tchaikovsky's blazing Symphony No. 4.